Phew… The Year has flown by hasn’t it? We also need to pack! What will you bring with you? and experience more happiness, and joy? 2016 with a bang, and have a fabulous 2017? Just watch, read or listen below to our newest episode. Hi, my friend, how are you? This is Erika, and I want to welcome you to another one of our episodes. On this episode, as the year comes to an end, we are going to spend the next few minutes talking about what you’ve learned in 2016 and how you can use those experiences to make your 2017 more vibrant, more abundant, more joyful, and happier than ever before. As the year ends and you are preparing for your Christmas shopping or your holiday celebrations—whatever your religion is—you are heading into family mode for the last two weeks of 2016. 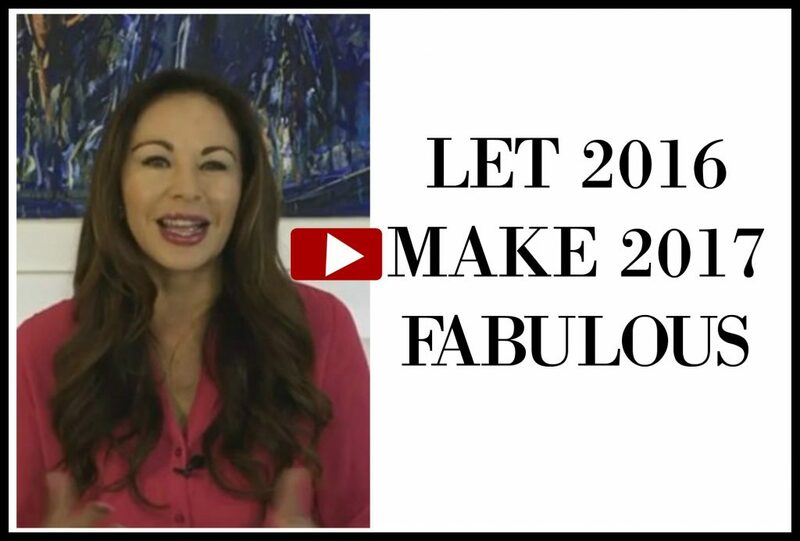 At this busy time of year, how can you use everything that happened in 2016 to propel you forward and lift you even higher, so that you may experience more abundance, more happiness, and more joy in 2017 than you‘ve ever experienced before? Another cycle is closing. In life, there are many different cycles. Lives that begin, and lives that end. Years that begin, and years that end. Relationships that begin, and relationships that end. Each month, we experience cycles of the moon. There are 24 hours in a day. Twelve months in a year, and so on. There are different cycles that happen throughout our lifetime. What 2016 reflections do you have to make your 2017 a better year? Not only to make 2017 a better year, but also to finish strong in 2016, which is what winners do. Right? Play this game with me for a second—let’s imagine that you are about to board a plane. And this plane’s destination is December 2017. You know that you’re going to get on this plane, and your journey is going to last for twelve months. The destination is your life, your future, your destiny in December 2017. Number One: My question to you is, What would you pack? What would you put in your luggage? What would you take with you, and what would you leave behind? Would you take more peace? More patience? Maybe presence with those people who are important to you? What would you leave behind, and what would you put in your luggage to ensure that 2017, your trip on this plane, is as nice, comfortable, peaceful, and enjoyable as possible? That is my first question for you today. Question number two is: what worked for you in 2016? What did you do well? What were you great at? What successes did you have? In what ways did you grow? How did you get more wisdom, more happiness? What did you work on in 2016—your health, your exercise regime, your relationships, your business? What did you do that worked for you, and what do you want to do more of in 2017? Many times, what happens is that we don’t stop. If you are like me—a type A personality, overachiever, somebody who is always finding passion and purpose in achieving my goals—one of the biggest mistakes you can make is to forget to celebrate. We forget to pause between one goal and the next, take time to integrate everything that we accomplished, and feel proud of ourselves for everything that we did. No matter how long the road to reach your goals is, you’ve already walked an equally long road to get where you are today. What would be better than to recognize your accomplishments and allow yourself the time to integrate and savor everything that you’ve already done? Let me share something with you. One of the main causes of stress and anxiety in life is the constant feeling that we are falling short of our goals and objectives. And it’s even sadder that most of the time, this is not true. You are not falling behind. You are perfectly equipped to reach your goals. I guarantee you, you just haven’t taken the time to stop and acknowledge your wins. Do that with me right now. What worked amazingly well for you in 2016? What can you be proud of that you accomplished? How did you react in those challenging moments? How did you demonstrate more commitment, more perseverance, and more grit? How were you able to stand back up when you fell down? You know, we all hit walls and challenges at some point in our lives. Maybe we take on a new endeavor, a new project, and it’s the first time that we’ve gone through that project. We’re going to hit walls, resistance, and challenges. What did you do to overcome those moments? And how can you remember those things so you feel more proud of yourself than ever before? Let me let you in on a secret. The moment that you like yourself, the moment that you believe that you’re worthy, the moment that you love yourself—in that moment, you are in agreement with your creator. You are in agreement with the spirit or your god; whatever you call it, no matter your religion. Make sure that you take the steps to be proud of yourself, to love yourself, because in that moment you’re in alignment with the highest energies of this universe. And when you are operating from that place of vibration and energy and vibrancy, that’s when everything starts to happen and become possible for you. That is one of your goals. Make sure that you love yourself, that you like yourself, that you appreciate yourself, that you feel gratitude for yourself. Number three. What did you learn? What were your biggest takeaways? What were your biggest breakthroughs to awareness? What did you learn, especially from the challenges and those amazing moments that you experienced during 2016? What made you proud of yourself? What did you learn? How can you internalize those lessons to help you make 2017 an even better year? How can you learn from your past, and use those lessons to take you to the next level? What did you learn, and how can you use your past experiences to be better, to grow more, to be wiser, to be more patient, to be happier in 2017? Think about the times that you didn’t react the way you would have liked to react. Maybe in the heat of an argument with someone you love, you said something that you didn’t mean to say, or you reacted too emotionally, too aggressively. You placed the blame on the other person. And when the emotions cooled down and you thought about what happened, perhaps you thought, “It wasn’t that bad. Maybe I overreacted.” How can you use that experience to shape and redefine how you will react in a similar situation, should it arise in 2017? Question Four. What would you let go of? Listen, as one cycle closes and a new cycle begins, what is it you must let go of? No matter how much you have in your life, or how little you have in your life, the truth is that every 24-hour day is full. Your day is dedicated to some sort of activity. Even if you’re sitting on the couch binge watching a TV series, your time is filled. What is it you must let go of so that you can have a more vibrant, more abundant, and happier 2017? Do you have habits that no longer serve you? Maybe it’s a negative, toxic, or co-dependent relationship that—no matter how much love and appreciation you have for the other person—is weighing you down. What do you need to let go of? A habit, a relationship, a pattern of reaction? Maybe an emotional state that you have become accustomed to? What must you let go of? To create what you want, you need to create the space for what you want to come into your life. However, if this space is completely full with things that no longer serve you, guess what? There is no space for the new to come in. What must you let go of to make your 2017 more vibrant, more abundant, and happier than ever before? Thank you so much for being here with me. I wish you a fabulous holiday season. May your holiday season be filled with health, abundance, peace, family, love, and joy. And as we head into the new year, I wish that together we can make your 2017 more vibrant, more abundant, and more joyful than you ever experienced before. So, my wish is that you have good health because without our health, we can’t do anything. I wish for you more wisdom, more happiness, more love, and yes, more wealth. It is very important, but when we put wealth in perspective, it is definitely not at the top of our list. If you have a mission in life, if you know that you have a message to share with the world, and you want to make sure that you help those people who need to hear that message, what would you need to do in order to reach those people? I talk about that in my free training. I tell you about a checklist that I use every single time that I’m creating a new blog post or new content. It’s the checklist that I use to give me more visibility, more leads, and most importantly allows me to help more people. If you want to be more effective, if you want to reach more people, and change their lives, all you need to be is more effective and more strategic about everything you do in your business. I hope you enjoyed this episode. If you did, do me two favors. One, subscribe to this channel right below so you can continue to get updates every time that we post new content. And two, if you would like to get ahead faster and grow your business a little bit easier, I would like to give you my free training: The 30-Minute Blog Creation Plan. It will tell you how to start attracting more clients and get more business with something as simple as blog posts. This checklist, a gift to you, is a great beginning to help you understand how to reach your ideal clients faster, easier, and better. 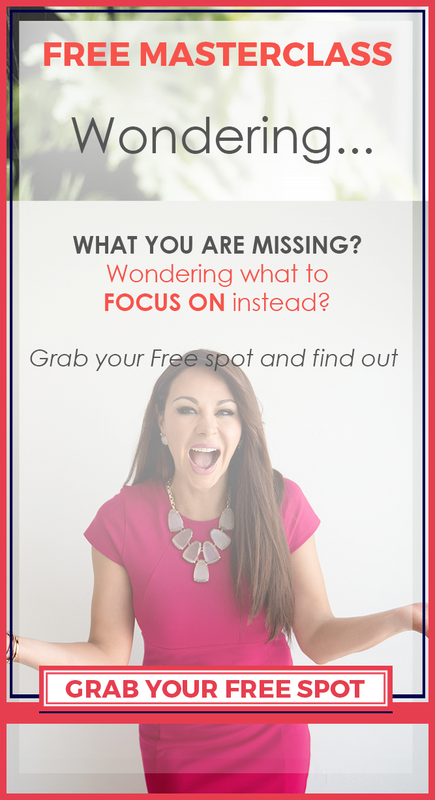 All you have to do is click the link below to get it for free, or click http://bit.ly/30minPLan where you can download the 30-Minute Blog Creation Plan. It’s the same checklist that I use every week to reach more people and change more lives, and I want you to have it for free. 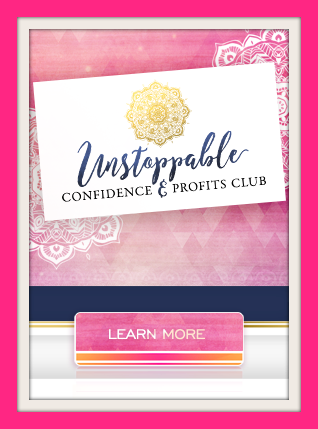 This is Erika Ferenczi from The Unstoppable Female, and until I see you again, make sure that you’re shining your light every day, you’re sharing your message, and you’re helping the people that you’re here to help in this world. See you next time. Happy Holidays and Happy New Year.